All Sanctioned Rules Listed Below, Are By-Laws Of The N.K.K.U.- W.O.C.- N.M.A.L.- M.A.C. ( #1 ) - Question : How Old must I be, to Compete in the U.S.-N.K.K.U. Open Karate & Kung-Fu Olympia Games or N.M.A.L./M.A.C. Tri-State National Events. Answer : Starting at 3 Years of Age or Older. ( #2 ) - Question : What Belt/Sash Color must I be, to Compete in the U.S.-N.K.K.U. Open Karate & Kung-Fu Olympia Games or N.M.A.L./M.A.C. Tri-State National Events. Answer : Starting From White Belt/Sash, Up To 10 Dan/Degree Great Grandmasters. ( #3 ) - Question : Do I need to be a Member of the U.S.-N.K.K.U., N.M.A.L. & M.A.C. to Compete. Answer : No, but only members are given a yearly I.D. Number & I.D. Card, and can Earn Yearly Competition Points, at our Web Site Rated Events, to become that years M.A.C. Tri-State Division, S.C., Ga., or Fl., State Champion, and/or become that years N.M.A.L.- National Martial Arts League - National Champion, in their Age & Belt Division. ( #4 ) - Question : What all can I, as a competitor, compete in at the U.S.-N.K.K.U. Open Karate & Kung-Fu Olympia Games. Answer : Open or Free Style Katas/Forms, Traditional Katas/Forms, Musical Katas/Forms, Open Weapons, Sparring, 2 Persons Team Kata/Forms, 3 Persons Team Sparring, and if you advance to the finals the Grandchampionship Belt Matches, "2 Shidoshi Cup Winner" and if your a Kickboxer, Open Kickboxing Matches, when Promoted by the W.O.C.- World Olympia Council. ( #5 ) - Question : If I join the N.M.A.L. / M.A.C. and win, in my division, what points will I be awarded, even if I compete and win 7th, place. Answer : You can earn Points to Become that Years, N.M.A.L. and/or M.A.C. Tri-State National Champion, Tournament Points are listed below. Answer : N.M.A.L. and/or M.A.C. Tri-State National Champion Tournament Points For Each, Tournament / Event With A Web-Site Listed : Non Star Rated Event ! Answer : N.M.A.L. and/or M.A.C. Tri-State National Champion Tournament Points For Each, Tournament / Event With A Web-Site Listed : 1 Star Rated Event ! Answer : N.M.A.L. and/or M.A.C. Tri-State National Champion Tournament Points For Each, Tournament / Event With A Web-Site Listed : 3 Star Rated Event ! Answer : N.M.A.L. and/or M.A.C. Tri-State National Champion Tournament Points For Each, Tournament / Event With A Web-Site Listed : 4 Star Rated Event ! Answer : N.M.A.L. and/or M.A.C. Tri-State National Champion Tournament Points For Each, Tournament / Event With A Web-Site Listed, you may also be Seated in that years, U.S. Open N.K.K.U. National Karate & Kung-Fu Olympia Games, because it is a 5 Star Rated Event ! Answer : Only the top 4, Olympia Games Medal Positions, in a Kata /Forms Match and/or Divisions of Competition, ending in a tie, will be solved, by the breaking of the tie(s). Answer : Legal Point Scoring Areas, are as follows on a competitor. Answer : Illegal Point Scoring Areas, are as follows on a competitor. Answer : There Are ( 2 - Two ), ( 1-One Minute ) Rounds Per Match, With a ( 15 Second ) Break Between Rounds, For That Competitors Coach Seated At The Ring, To Check/Coach His/Her Competitor, Before The Second Round Begins. ( 1. ), A Judge may Disqualify Him-self /Her-self, from Judging a Division Match, because ( He/She the Judge ), would not like to Judge ( His /Her ) student(s), and/or Association member(s), in the same ring, along-with all other competitor(s), in the same Division /Match, in the U.S.-N.K.K.U. Open Olympia Games, this must be made known, before the Division /Match starts. ( 2. ), If a Competitor or His/Her Coach, feel that the competitor will not be Judged fairly, by any Judge in the same ring, with that Judges student(s), and/or Association member(s), along-with all other competitors in the same Division Match, at the U.S.-N.K.K.U. Open Olympia Games, at that moment before the division starts, (The Complainant, must bring this to the attention of the Judges, and must show some form of proof, to support the allegations concerning, ( one or more ) Judges, this must be made known, before the Division /Match starts, ( if this is not done in this order, the allegations are then void ). ( 5 ). If ( He /She - the Judge ), is in Disagreement with the Disqualification, by a U.S.- N.K.K.U. Rules Official, ( He /She the Judge ), May/Can Request in Writing, for a Hearing with the U.S.-N.K.K.U. Olympia Games, Board Of Ruling Committee, To Review The Incident, At Its Next U.S.-N.K.K.U. Olympia Games, Board Of Ruling Committee Hearing/Meeting, For The Final and/or Over Turning Of A Judgement Call, At That Years U.S.-N.K.K.U. Olympia Games, On The Ruling Of The U.S.-N.K.K.U. Olympia Games By-Laws & Rules, *** Please Note *** if the ruling stands, the Judge will not be allowed to Judge in another, U.S.-N.K.K.U. Olympia Game, For no-less than 2 Years, and/or depending on the offence, as much as 5 Years. Answer : The Competition Ring, at the U.S.-N.K.K.U. Open Olympia Games and/or N.M.A.L./M.A.C. Events, must be either a size of ( 16 X 16, 18 X 18 or 20 X 20 ), depending on the events venue size, in-order to set-up all of the competition rings needed. Answer : Yes, There Is A $10.00 Discount Off Of The Competition Fee. For All Competitors That Pre-Register Before The Mail-In Deadline Of ( October 10 ). Answer : NONE, There Is No Additional Non Team Event Price, Any And All Competitors Can/May Compete, In One or All of the Events, in the U.S.-N.K.K.U. Open Karate & Kung-Fu Olympia Games, For one Competition Fee of only $60. 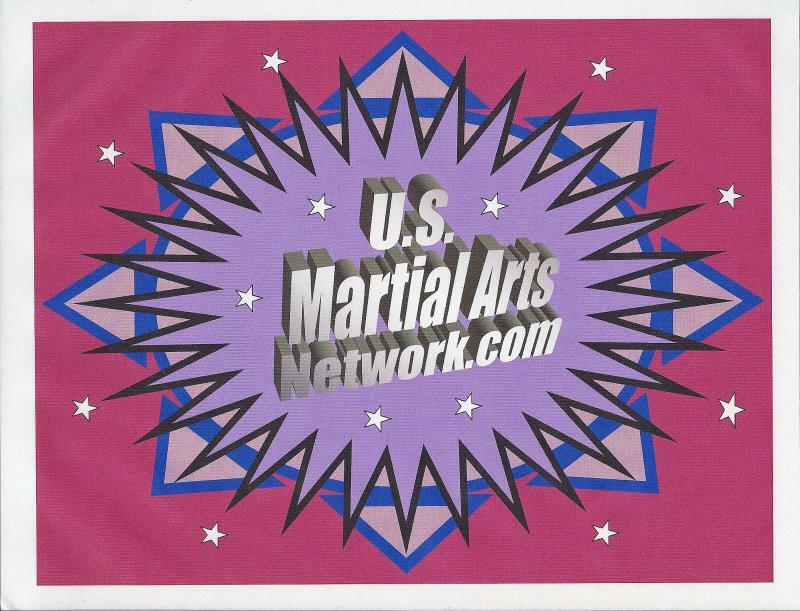 Answer : No, that is the main reason, this Union was formed, so that any style and/or System of Martial Arts would be able to present, their form of the martial arts, at its best, to the Martial Arts World. ( #38 ) - Question : Will I need a U.S.-N.K.K.U. Passport. Answer : No, but it would be for you the competitors best, to order His/Her own U.S-N.K.K.U. Passport Book, to keep a vital record of His/Her Martial Arts Life, and the Passport, is set up to keep your records, for up to ( 10 ) Years. ( #39 ) - Question : Where can I find, or read about the rules, that are to be used at the U.S.-N.K.K.U. Olympia games, and at the, N.M.A.L./M.A.C. Open Yearly Martial Arts, National Championship Events. Answer : Once more, that's the reason we ask, that Competitors, Order His/Her Passport, because the U.S.-N.K.K.U. Olympia Games, and at the, N.M.A.L./M.A.C. Championship Events, Rules, Ethics, Conduct Codes, Moto and By-Laws are all in your U.S.-N.K.K.U. Martial Arts Passport book. ( #40 ) - Question : How can I order My U.S.-N.KK.U. Martial Arts Passport Book. ( #41 ) - Question : What will it cost me, to become a member. Youth Under 18 Years of Age = $30. Adult 18 Years and Older = $35. All Black Belts / Black Sashs = $40. ( #42 ) - Question : If I have any other Questions or Concerns, How can I get in touch, with the U.S.-N.K.K.U. Answer : Or you may write us at, the Official Mailing Address. To Win your, U.S. Open N.K.K.U. the 4th Week, in October !! !